Since the 1940’s, the city of Rio de Janeiro has become known worldwide as the ‘Marvellous City’, when the carnival’s song with the same name was released. The music about ‘that place that would seduce everybody’ did not only refer to the beaches and mountains, but also to the street life. 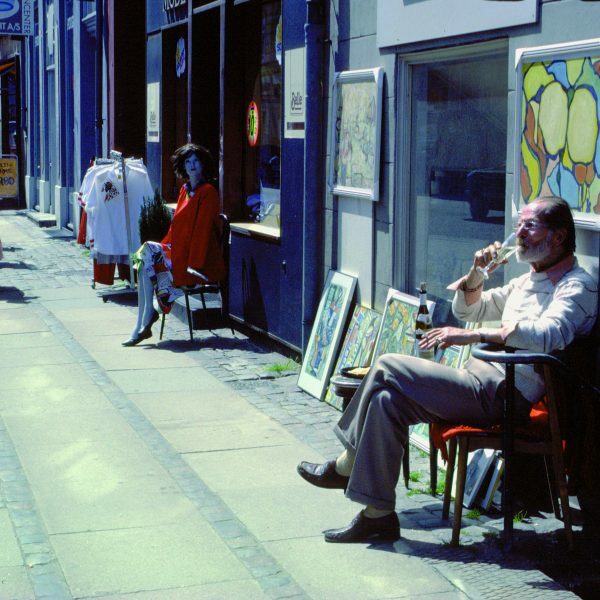 In those times, urban life took place by foot or tram in streets with hierarchically distributed commercial activities, generating unexpected meetings of people. Rio’s lively streets made Brazil’s capital so charming. In the 1960’s, the city changed direction. Rio de Janeiro lost its capital city status to Brasilia, resulting in a great loss of jobs and public income. In the same period, large scaled eastwards urban expansion was implemented, based on the modernist and car-oriented urban plan of Lúcio Costa. Public investments were allocated to the construction of this new Rio de Janeiro, contributing to the decline of the older parts of the city. The model of the car-oriented city, structured by private residential condominiums and shopping centres became hegemonic. Streets were not appropriated by pedestrians anymore, but objects of observation from cars and packed buses. Violence and fear added to their degradation. The mono-functional, privatised and car-based model is even expressed in the recent social housing programme, resulting in 65,000 dwellings in Rio de Janeiro. Gated community complexes of 500 units were built in isolated areas, far from neighbourhood centres and the city centre. While street life in the planned city is losing is vitality, Rocinha represents the opposite direction. Rocinha, originating in 1929, is one of the biggest and most well known favelas of Brazil and Latin America. Informal occupations by the low-income, working class quickly transformed the former rural area into a dense urban core on a steep hill. 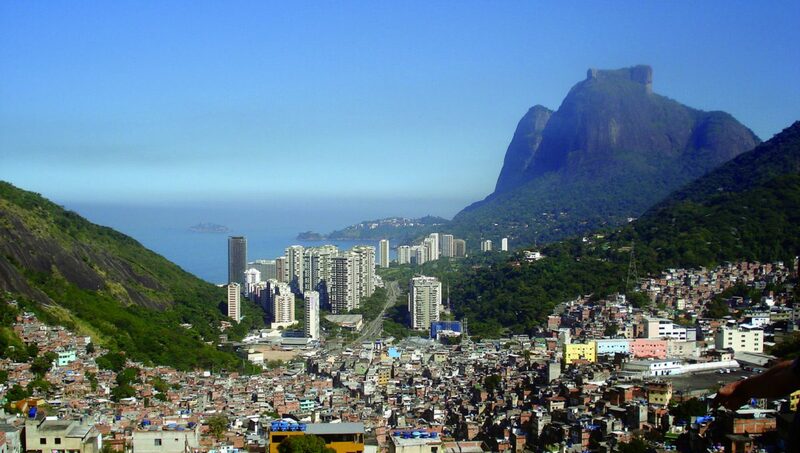 Today, more than 100,000 inhabitants form a city within the city of Rio. 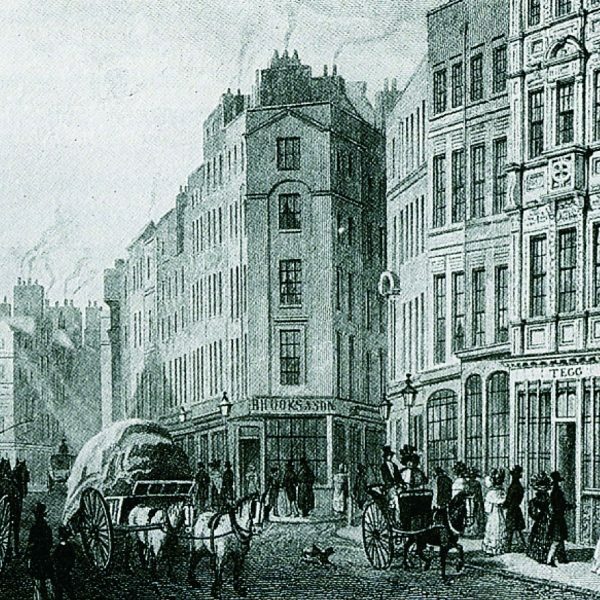 The subdivision of the original large plots into very small parcels led to an entanglement of the few original roads, small alleys, and stairs connecting buildings of, on average, three floors. With Rio’s expansions, the area became centrally located and well-connected. As most informal slum areas, Rocinha started as a free zone for survivors; residents are usually migrants willing to make their living in the city, but with no chance to enter the formal housing market. The illegal occupation resulted in a segregated, extremely dense area. Adequate sanitation and other public services are non-existent. The lack of an efficient sewer system and the garbage on the streets lead to illness and poverty runs rampant. At the same time, Rocinha’s street life is expressive, fun and warm. The vitality in Rocinha’s self-constructed, self-governed streets—often idealized in urban planning theory—is born out of necessity. Without disregarding the critical living situation, we see that the social fabric comes for a great part from the self-organisation and the lack of a planned modern urban environment. With at least 700 inhabitants per hectare, a very rough estimation, Rocinha is extremely densely occupied and no formal rules limit habitation. Residents of slums build principally for their own, particular use. Over time, as families and wealth change and grow, the houses evolve in size and quality. The possibilities and personal taste of the residents, rather than any public regulation, determine the appearance of the houses. Over the decades, Rocinha became a varied neighbourhood. The naturally hilly configuration of the area adds to the human scale typology. The few central streets wind through the area, ensuring constantly changing perspectives. Open space is scarce and lays principally on the few central roads that date from the original larger parcelling. The streets function as connecting veins, interlinked by hundreds of narrow footpaths. It is in this messy complex of connections where public life comes together. Cliché but true; Brazilian culture is happy, existing by virtue of multicultural artistic expressions, music, dance, jokes and spontaneity. Meetings on street corners, children playing on the street and parties with music on the squares are all ubiquitous. That is life in Rocinha. People hardly have private space and share the little amount public space available. Another socio-economic problem that bears an advantage: because of the spatial infrastructural impossibilities for car use and the low incomes of residents, few people drive a car. Most people walk or take buses, vans or motor taxis. The intense and diverse commercial and cultural activities follow the economic logic of meeting local demands. In less than one kilometre, you can do your shopping, fix a motorcycle, find a barbershop, buy food, pick up a video movie, and go to the church or the gym. None of these establishments exceed 8 meters of street façade, some have only 1 meter. Commerce and services are mixed with housing, which primarily occupies floors above the street level. Around 6 o’clock in the afternoon, the neighbourhood looks like a shopping mall corridor on the days before Christmas. It’s on the street that old friends meet and the community issues are discussed. Rocinha, like the thousands of other slum areas throughout the world, reveals miserable, inhumane conditions, including poverty, crime and filth at the one hand, and urban vitality among the people and in the streets on the other. It is a vitality not replicable with today’s Brazilian urban planning models. This vitality originated from a necessity for social life and a lack of personal space. But is the result a compact city, or overcrowding? 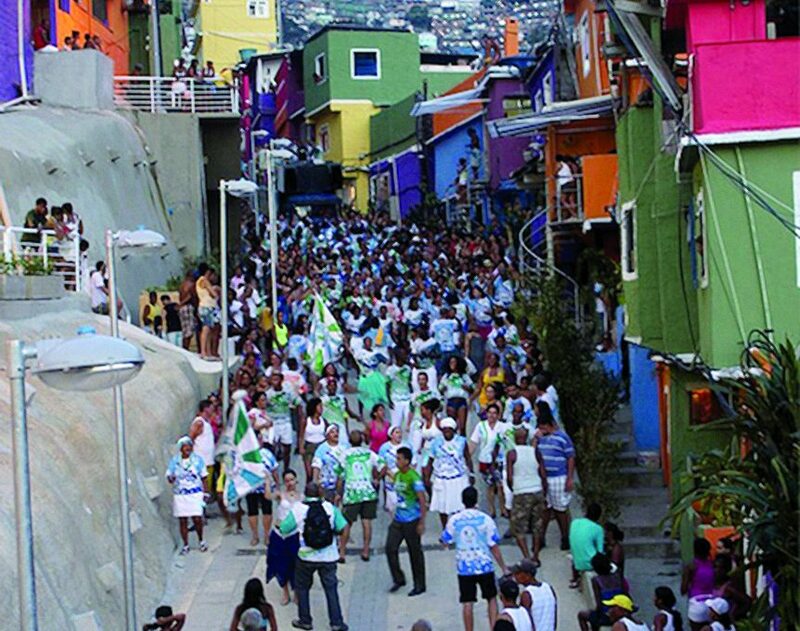 Does Rocinha show mixed use, or complete chaos? Can we speak of strong social relations or forced cooperation? The indicators balance on a very thin line. We can learn lessons from this informal, self-organised city. Considering urban design, Rocinha confirms how a human scale, variety, high density, flexibility and little car use contribute to a pleasant space. Considering its organisation, it also shows we can trust that people, in tight circumstances, are able to organize themselves. With little regulation, they have the freedom to organize social and practical meetings, to create shops based on demand, and to form ad-hoc samba groups. We also learn about community identity and solidarity; a place where neighbours take care of each other reciprocally. Once we gain this trust, a next step is creating circumstances (budget, space, freedom and an overall urban framework) for collective projects, both social and physical. Creating a framework for self-organisation should not just be a fashionable concept, but an imbedded planning strategy.